Reprogramming the subconscious mind becomes a creative path to authentic self-expression when it strikes down negative conditioning that has been getting in the way. Rather than trying to become something you're not, subconscious mind reprogramming is aimed at become more fully who you already are. The subliminal tools and guidance you'll find below are designed to return you to your natural responses and instincts - the ones you're capable of without destructive conditioning getting in your way. Below you'll find a number of 10-step programs designed to target specific areas where important life changes may be made. To reprogram the subconscious mind is to work with your creative powers to shed limitations rather than attempting to add anything. Everything you need is already with you - inside. These tools help you reach within and tap into the inspired life changes you're after. Where's the problem? One thing is certain - it isn't you. You aren't the one that needs fixing - you'll be the one doing the fixing. Something is amiss in your life and you're looking to address it. Most likely it's your conditioning that's creating some trouble for you. It's getting in your way - the nerve! Reprogramming the subconscious mind is a direct way to address your conditioned responses. Whatever artificial limitations you've picked up along the way, they can be shed. What has been learned can always be unlearned, as Yoda would say. Although these subliminal programs help you shed and subtract - you'll find yourself becoming more. As you conscientiously engage in reprogramming your subconscious - authentic self-expression will be increasingly yours. Your conditioning may have called you here; but your true self is the one that gets to walk out. Nature is always more powerful than nurture. Nature gives birth to nurture; never the other way around. The subconscious mind may be likened to a perpetually dry sponge. No matter how many times it comes into contact with water - it stays dry - immediately absorbing whatever comes into direct contact with it. As a young impressionable baby you had very little buffering between your subconscious mind and your surrounding environment. You absorbed so many things - and none of it was under your direct conscious control! Later in life you come to exert much more control over your environment and your actions. Yet bad habits may have still crept in beneath the radar of your conscious awareness and better judgement. You realize that some of what you've already absorbed and picked up is serving you; while some things may be holding you back or even hurting you. The proactive question becomes what to do about it? An inspired solution lies within reprogramming the subconscious mind - a proactive way to take control of conditioning - putting it back in your hands. Why carry around, or put up with, what can otherwise be worked on and readily changed? What's the #1 Thing Holding You Back Right Now? What's the #1 struggle you're experiencing in your life right now? If you knew you had the power, ability and knowledge to transform any area of your life - whether it be finances, intimate relationships, social anxiety, negativity, etc - what would your chosen inspired life change be? Success means different things to different people. When it comes to pursuing and accomplishing your own personal brand of success, mindset and success habits carry you a substantial length of the way. Each week this program will address different habits and mindset required for success. Thinking big; believing in yourself; success motivation; self-discipline; overcoming procrastination and the fear of failure; becoming forward looking; concentration and focus; becoming action oriented; and reaching your goals are all covered in this program. When it comes to assertiveness it's easy to find yourself swinging from one extreme of being rude, to the other extreme of being a doormat. 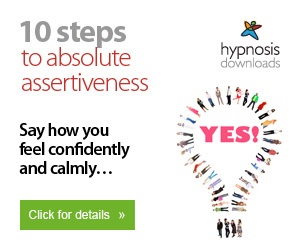 Assertiveness isn't any of these - it requires a much finer balance somewhere in-between. Each week this program will help you work with your subconscious mind on a different aspect of assertiveness. Setting boundaries; saying no; overcoming the fear of confrontation and authority; getting over inferiority complexes; standing up for yourself; stop being such a 'nice guy (or gal)'; constructively expressing yourself and how you feel are all covered in this program. Craving for cigarettes is largely a subconscious affair. You may have resolved to quit in the past, but it seems that before you even realized what's happening, you've lit up another cigarette toking away. The subconscious strings tugging at you from behind the scenes are nothing if not persistent. 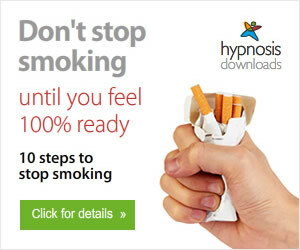 To resolve to stop smoking for good begins with conscious intent. Yet, the follow-through depends largely on successfully reprogramming the subconscious mind. This 10-step program is designed to help you do exactly that. Whether it is letting go of a relationship that is no longer good for us, dealing with rejection, or simply gaining the self confidence that will make our relationships stronger, insecurities will try to get in the way. 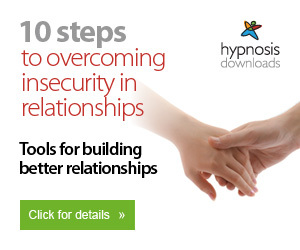 This 10 step course helps to reprogram the subconscious mind around different aspects of relationship insecurity, in a very thorough and comprehensive package. Cultivating a solid sense of self-esteem involves a little more than simply trying to 'love yourself more'. This doesn't stop people from handing you this well meaning, yet simplistic and misguided piece of advice now does it?! 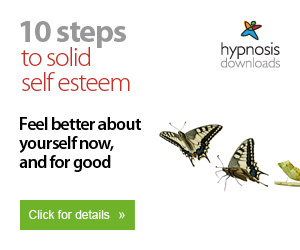 Successfully reprogramming your mind around self-esteem is a little more subtle and complex than that. Quitting self-blame; feeling attractive; overcoming inferiority complexes and insecurity; stop seeking approval and detrimentally comparing yourself to others; accepting yourself; finding your identity and putting yourself first are all covered in this comprehensive program. 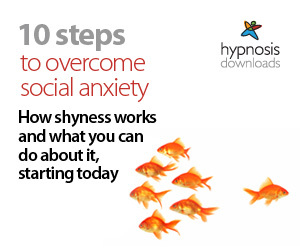 To free yourself of social anxiety doesn't mean going against the grain your natural tendencies. After all, you may be introverted or introspective by nature and you wouldn't want to change that. Freeing yourself of social anxiety is really about the freedom to choose. So long as anxiety is calling the shots you will never be free. Since human beings are such social creatures, is there anything worse than serious social anxiety, or social phobia? This program helps you address these issues once and for all. Being yourself socially; overcoming shyness; making eye contact; conversation starters; meeting new people; mastering small talk; expressing your opinions; speaking in groups and 'you're ok, I'm ok' is all covered in this program. Reprogramming the subconscious mind sounds contrived to those unschooled in the ways of inspired, creative life change. The truth is that only the unnatural in you can be 'reprogrammed'. What's natural remains intact in you, untouched. It's exactly your nature that's best brought out by working to release, or reprogram, certain aspects of conditioning - crusting over essentially you. 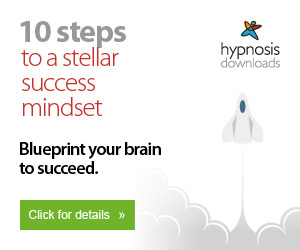 Use your subconscious mind well and create the life changes you want to experience next.